As the primary work surface in a room that drives the daily operation of the modern household, kitchen countertops play host to any number of different activities—everything from meal preparation and casual dining to bill-paying and homework help. 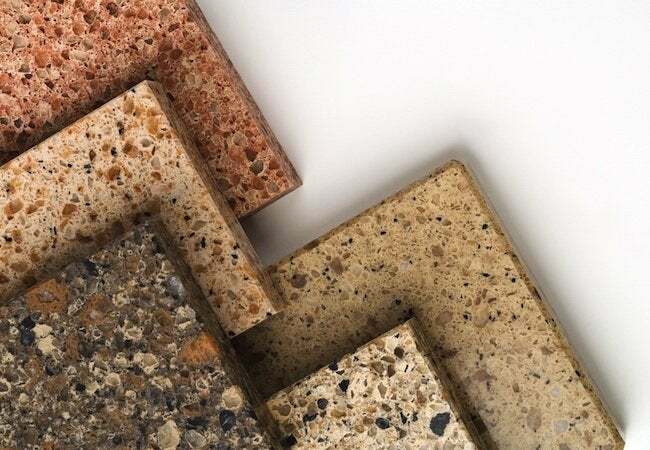 Still, for as much use and abuse as countertops undergo, homeowners demand that they not only resist wear and tear, but also define the overall look and feel of the kitchen. In other words, a successful kitchen countertop must boast beauty as well as brawn. That’s precisely why, according to Jim Eldredge, a product manager with Sears Home Services, granite continues to reign as “king of countertops,” even after so many years of popularity. No other material strikes such an effective compromise between attention-grabbing aesthetics and no-nonsense practicality. Perhaps best of all, though granite connotes the height of luxury, prices have stabilized in recent years, and the market now offers a range of accessible price points. 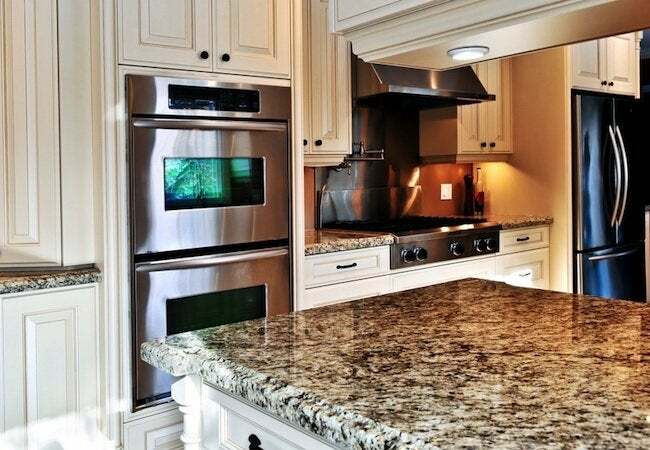 Read on to learn more about making granite countertops part of your next home improvement project. Granite shines in terms of durability—a boon in busy kitchens—thanks in large part to the material’s pedigree. Formed by immensely powerful geological forces over millions of years, granite isn’t just figuratively “hard as a rock”—it’s literally so. The benefit? You can expect granite countertops to last as long as your house, even as you enjoy the near-term conveniences of such a durable kitchen surface. For instance, since granite naturally resists heat, “you can place a steaming-hot pan directly on top of it” without scorching the stone, Eldredge says. Plus, if you drop something heavy on a granite surface, there’s no need to fear that the impact will do any damage. If granite has any weakness, it’s that the porous material allows oils and acids to seep in and leave stains. That’s why, if your granite slab doesn’t come pretreated with a sealer, it’s crucial to apply one as necessary, typically once a year. 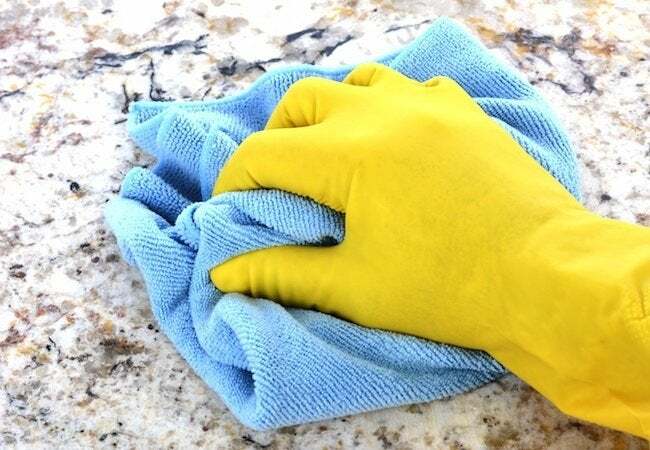 Otherwise, apart from routine care that includes regular wipe downs with a moist sponge, “granite takes care of itself,” Eldredge concludes. Accounting for 10 or 15 percent of the budget for the typical kitchen remodel, countertops don’t come cheap. According to Eldredge, however, “It’s a popular misconception that granite costs more than anything else.” Certainly, compared with a countertop made in a factory, you can expect to pay a premium for quarried, shipped, and fabricated natural stone. But over the years, prices have come down enough to make granite all but ubiquitous in kitchens around the country. Neither uniformly expensive nor cheap, granite “really runs the gamut [in price],” Eldredge says. “You can easily spend a small fortune” on an extra-thick slab of a rare variety, but granites that are in greater supply compete in cost—or come in cheaper than—many other popular options. Renovating on a shoestring? 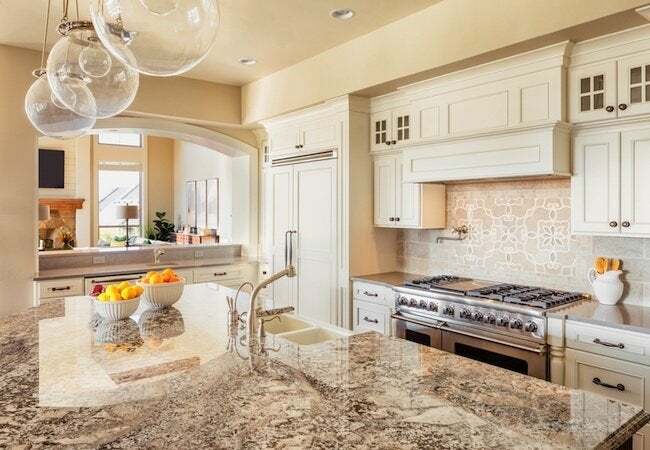 Eldredge points out that many homeowners keep a lid on the budget by specifying granite for select application in “hardworking, high-profile areas,” such as the kitchen island, rather than throughout the entire room. In the end, although granite countertops may be a luxury, many homeowners find them to be an affordable one. Of course, at the end of the day, the total project cost depends not only on the granite itself, but also on the installation fees. 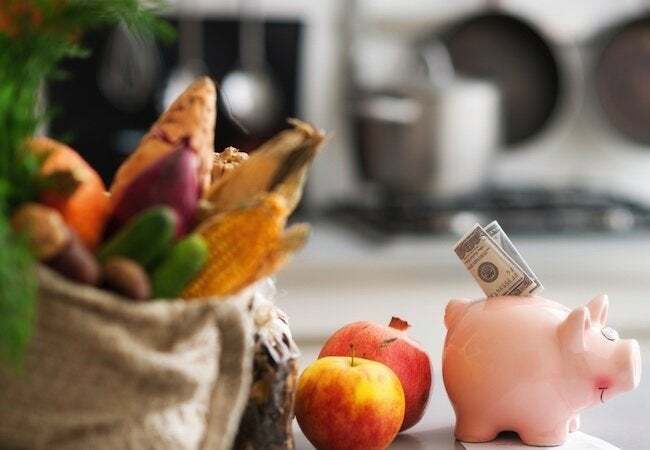 If you’re a budget-conscious do-it-yourselfer, the idea of handling the installation on your own may be tempting, but experts advise against it. For one thing, granite counters weigh about 18 pounds per square foot, so merely moving a slab often requires the combined strength of a small crew. For another, cutting and fitting granite countertops requires specialized skills and tools that the average homeowner handyman simply doesn’t possess. Finally, there’s the fact that many homeowners view a kitchen upgrade as an overwhelming prospect. The valuable experience and perspective that the best pros bring to this complex enterprise often equals or surpasses the value of their labor. Sears Home Services knows this perhaps better than anyone. That’s why Sears project coordinators work with you from selecting a granite slab all the way to seeing it secured into place. Ready to get started? Schedule a free in-home consultation with Sears Home Services today!